Tomorrow marks four months until my publication date! It’s hard to believe it’s just around the corner. One of the supporting characters is my friend Jean, who I call Janice in the book. We both moved from Washington, DC to Hong Kong 20 years ago. I still remember the day after she arrived. 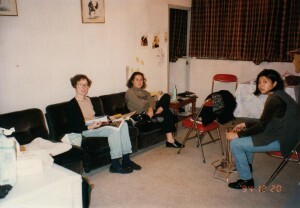 We met at her apartment (shown in this photo) and walked around Kowloon for the better part of that afternoon. Jean’s place became a second home to me. 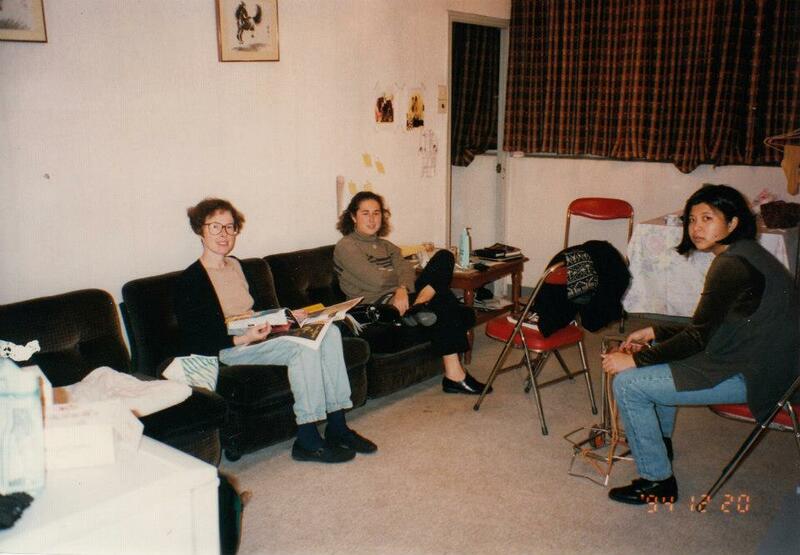 I often slept over in the bedroom just next to where I’m sitting in this photo. She had a wooden bunk bed in that room and I got the upper bunk. In the morning we would sit on this couch and watch Bloomberg TV before I headed back to school and she to work. What I loved about this location (in the Tokwawan district of Kowloon) was that it was a ten minute walk to the old Kai Tak Airport. I stayed here the day before I flew up to Wuhan to meet my future in-laws and often stopped by before heading to the airport on other trips. I think my mom and I are here (with my father taking the picture) before my parents and I went to Singapore for a week. For many, Hong Kong may be all about glitz and glamor. But I’d take this flat in Tokwawan any day. Did I mention it was a fifth floor walk-up?